Lightweight whose highlight reel finishes and back-and-forth fights have earned him more than a dozen performance bonuses while in the UFC. He was a member of The Ultimate Fighter 5, where he was eliminated in the semifinals. He started fighting as an amateur in 2002 and worked as a network administrator early in his career. He made his UFC debut at UFC 63 in 2006. He has a degree in computer science from Wentworth Institute of Technology. His 2012 fight with Jamie Varner was named Fight of the Year at the World MMA Awards. He has a son with his wife Katie. 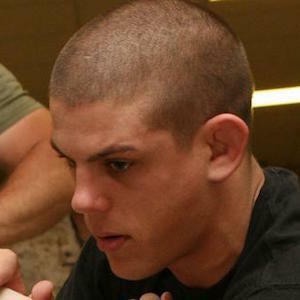 His brother Dan has also fought in the UFC. Nate Diaz won season five of The Ultimate Fighter.